I'm such a sucker for Egyptian lore stories, so this series is seriously my jam. 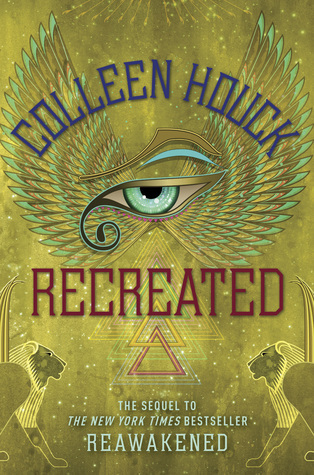 While RECREATED didn't sweep me away quite as much as Reawakened did, it was a very enjoyable read. There's just something magical about the style of writing and it's so easy to get sucked right into the story. The characters are phenomenal and all incredibly three-dimensional. The world behind the story was expanded even further than in the first book, and each new element be they the location, mythology, or a character were fully fleshed out as well. It truly is impressive just how well Colleen incorporates each and every element to make them all seem so realistic and full of depth. Despite all the new elements, characters, and depth to the world, so much of the book is spent with Lily fully at the helm/focus. While Lily is a great character, I have to admit I missed the brothers a great deal, and even when they came back into focus, they really only served to confuse things. 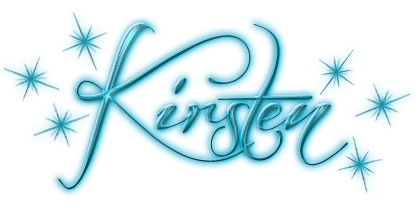 In the first book, the romance is all sweeping and consuming and I loved every bit of it. But this time around due to circumstances I won't reveal to keep from spoiling, that romance gets questioned due to other influences. To make matters worse there's hints of a love triangle that left me scratching my head. Granted there's possibly a logical reason behind it, but I still felt it lessened the epic love between Lily and Amun that sucked me in so much in the first book. Love triangle/romance issues aside, I thoroughly enjoyed RECREATED and am dying to get my hands on the next book in the series. Hopefully this is longer than a trilogy as only three books in this amazing world will never be enough! 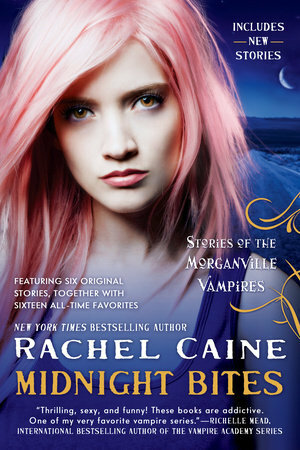 Midnight Bites by Rachel Caine is a collection of 22 short stories that revisit the characters of the Morganville Vampires series. This should be of interest to anyone reading the series for the first time as well as readers new to the books and its world. There are new stories and some that were previously published, and gathered together they fill in many of the blanks and “behind the scenes” moments in the lives of various characters. 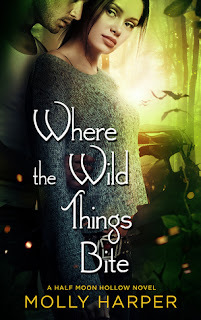 As a whole the series covered a lot of ground, but this collection definitely proves that there are still adventures to be with these characters, and readers will likely want even more stories after finishing it. A few of the stories are summarized below. Concerns Shane’s sister Alyssa, and is the story of how she died from Shane’s point of view, expanding on what readers already know and the reasons for both his guilt and anger. This short story is told from the point of view of Richard Morrell. Monica is involved in an attempted robbery, and justice falls on the perpetrators swiftly and without mercy. The history between Myrnin and Lady Grey is explore, beginning from her rescuing him from a dungeon prison and then nursing him back to health. It’s a nice look at their relationship and how it’s lasted this long. Again, this collection is a good way to revisit the series, or for someone who wants a bit more background on the characters, but it doesn’t stand as well alone without having previously read some, if not all of the Morganville Vampires books. This was a short but surprisingly full of depth read. To be honest, while I've adored Finn throughout the series, my feelings for him drastically changed in the last book. The way he lost his head over his mother, and basically abandoned Gin despite all they've been through together as siblings over the many trials they have faced? Well it just left a sour taste in my mouth and he firmly was on my crap list. So that being said, this novella was exactly what I needed (and the characters needed) to get past those mistakes. In UNWANTED Finn is utterly wrecked at his behavior, barely eating or sleeping and overall completely miserable. He just wasn't in a good head-space at all, and that's just "sloppy" as Gin would say when you consider there's always some threat after them. 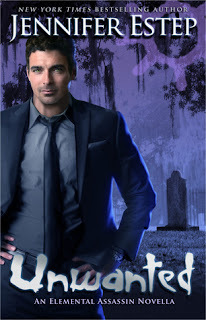 So when the widow of one of the deceased guards from his fiasco from trusting his mother runs into some pretty big trouble, Finn can't seem to help himself in needing to help her. And boy does she not make it easy, and frankly it's just what he needed to start his own healing process in forgiving himself. How can others forgive him if he's still stuck in loathing and self denial? I really enjoyed how the author showed this journey towards healing, but in true Elemental Assassin style, that healing came with a fast paced and killer (literally) plot. I also loved how she made his guilt and healing process realistic. He's still got a long way to go, but at least he's now headed on the right path. I highly recommend this novella for fans of the series, especially those like me who need to see a bit of redemption from Mr. Finnegan Lane. I'm a huge fan of the dystopian genre, so I really appreciate when a series comes along that is as unique and interesting as this one. Rachel Caine brought a truly horrify prospect to life, between the burners who destroy books, to the Library's iron fist control, and the limited content in books. Every single moment I found myself both riveted and horrified at what was happening. It really is enjoyable for a book's world to grip you as much as this one does. There's no sophomore syndrome to be found here! Jess has really come an incredibly long way from the impetuous boy we met in the first book. It's rather impressive to be honest. Of course he still bucks against authority and goes his own way more often than not, but he takes the time to try and think through the consequences for others. He's truly admirable in his willingness to sacrifice himself for others and he's really grown/growing into a force to be reckoned with. When you add his admirable qualities to the rest of the fully three dimensional characters, particularly Glain, Khalia, Wolfe, and well frankly his entire crew to be honest, you really have a winner. 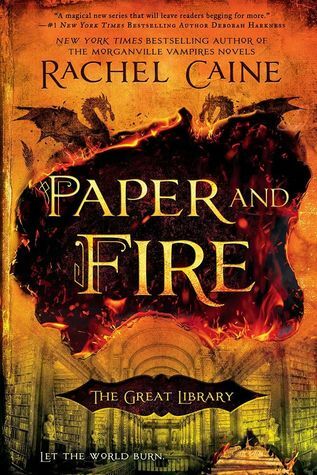 I've yet to read a Rachel Caine series that has let me down, in fact far from it, and The Great Library series is no exception. My only wish is that there winds up being more than three books as a trilogy just isn't enough. Fans of the series will be more than pleased with this new installment. I can't wait to see what happens next!